JK Rowling has issued an online message to let readers in the digital world know about the eBook publication of The Tales of Beedle the Bard and encourage them to support the vital work of Lumos. And a moving animation about the work of Lumos, narrated by J.K. Rowling, is available for the first time today. The Tales of Beedle the Bard is a collection of wizarding fairy tales mentioned in Harry Potter and the Deathly Hallows, the final book of the series. J.K. Rowling originally produced an edition of seven handwritten, illustrated manuscripts. In 2007, one was offered at public auction and sold for £1.95 million, setting a record auction price for any modern literary manuscript. Following public demand ‘Beedle’ was published in hardback in 2008 and became the fastest selling book of the year. To date both the auction copy and the published book have raised over £18 million for Lumos. Eight million children globally live in large institutions that deny them individual love and care, can damage their brain development and destroy their understanding of right and wrong. Lumos works at every level, from international decision makers to individual children, to transform outdated systems. Institutions are replaced with family and community based services, so that all children can have a real chance of a childhood and a future. 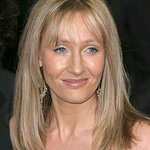 J.K.Rowling is the Founder and Chair of Lumos. The eBook The Tales of Beedle the Bard price £3.99 is available from the Pottermore Shop.